We look forward to meeting you and leading you on the path to optimal health and wellness. Our doctor provides gentle and safe care by utilizing atlas orthogonal and activator adjusting instruments which require NO twisting, popping, or cracking of your neck or back. If that is a fear that has held you back from seeing a chiropractor, rest at ease. The specific and gentle care we provide is important and we also make it a priority that you have a good experience in the office as well. We only hire staff members who smile, speak kindly, and care about our patients. The combination of excellent chiropractic care and excellent service are the key elements to our office. Ask your friends and neighbors about us. 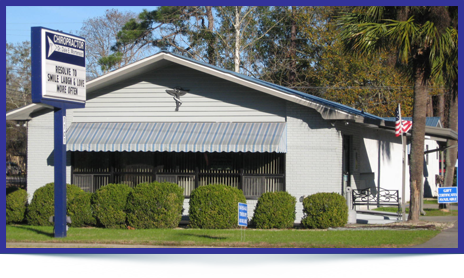 Having been in Lynn Haven for 30 years, chances are they know someone who has been or is currently a patient. We hope you will consider contacting us to see if we can help you on your journey to wellness.